Have you ever been in the market for flooring and heard this mysterious “Janka” term thrown around like a plate in a Greek restaurant? 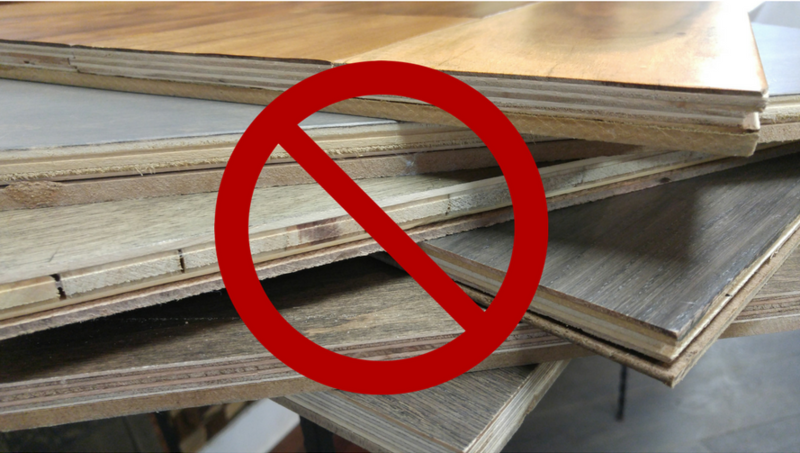 While it can have its place in the discussion, it should never be at the forefront when deciding on a flooring product. 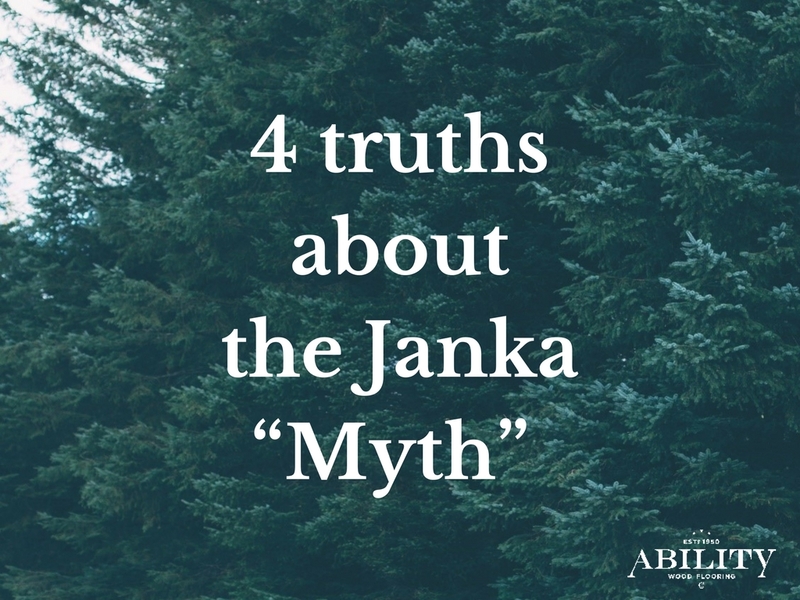 There are more important factors that need to be considered before “Janka” marches into the conversation. So, what is this Janka term all about? 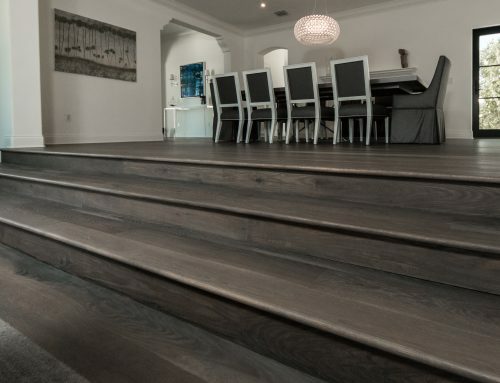 It is a scale that tests the hardness of different wood species; therefore, it would be safe to assume the best quality wood floors are those with the highest ratings, correct? Not so fast. 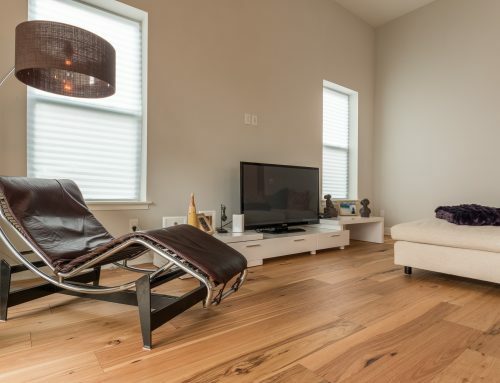 Below are 4 truths about the Janka scale that you probably have never heard before; that’s where Ability Wood Flooring comes in. While dent resistance is great for when you drop that hammer from the top of the ladder, or for your sister’s stiletto as she’s sneaking out the back door to go to that party Dad told her she WON’T be attending, dent resistance won’t help you when it comes to scratches. All floors will scratch, no matter the score on the Janka scale. 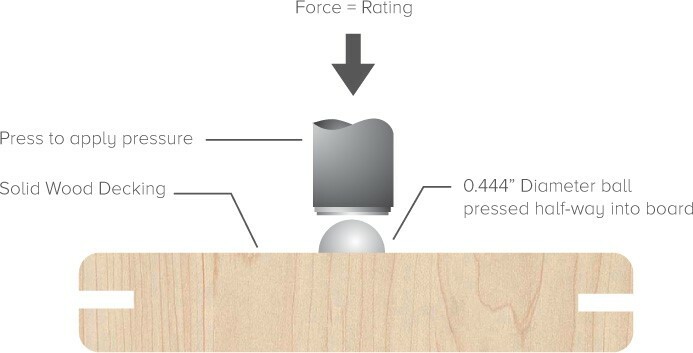 The Janka scale comes up with their ranking system by pressing a .444-inch metal ball to a knot-free, solid wood sample. The score each species receives is based on how much force it takes to press that metal ball halfway into the surface. The Janka scale is only administered on solid, unfinished wood. Since the scale takes into consideration denting, the plies in an engineered floor would change this reading. Some ply species are stronger than that of the top veneer, which makes that top veneer stronger and more resistant to denting, while alternatively, there are ply species that will have the opposite effect. If you research Janka scales online, you will find that these scales change depending on your source. Some also identify species by their genus name, creating confusion rather than clarity. By now you hopefully see that there are more important elements to consider before the Janka scale makes its way into the discussion. There is a major player in the flooring world by the name of Mannington. 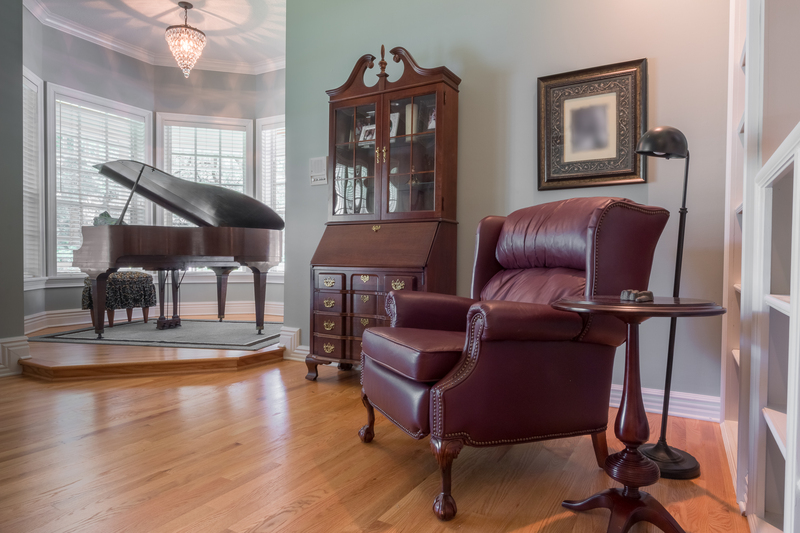 They have been manufacturing high quality flooring for over a century. The Vice President of Mannington Dan Natkin, noticed much confusion regarding the Janka Scale. He decided to put together a presentation called the “Myth of Hardness” to clear up this misconceived scale. In the presentation, he stresses to remember the 5 S’s when searching for a scratch and dent resistant product: Shine, Smooth, Scraped, Shade, and Strength. The first thing you should consider is the sheen. A glossy finish is going to show E-V-E-R-Y-T-H-I-N-G. This is one of the most crucial elements to consider when selecting a product. 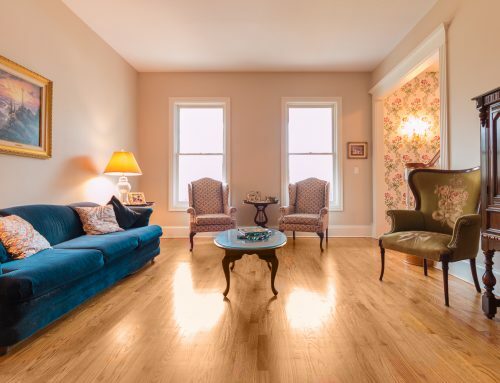 When our clients walk into our showroom the first thing we do is find out the details of their home, so that we can help each client find a floor that will perform best for their needs. Always consider the specie of wood. Some species, such as oak and hickory, have a lot of vibrant grains. These grains do a great job of camouflaging scratches. If you have pets, you will want to direct your attention to something that is going to have more grain, while staying away from clearer species such as maple or cherry. Are you a pet owner? Maybe you like to host parties? Perhaps you have a house full of kids? If any of these describe you, then you absolutely need to consider the texture. A hand-scraped or wire-brushed texture is going to be the best option for you because they hide a multitude of sins. Any scratches and dents that come along the way will simply add to the distressed look that already exists. Has anybody ever told you to never get a darker colored car because it will show every scratch and smudge? The same can be said for floors. You will want to aim for something that isn’t too dark or too light if you’re looking to concealing the occasional trouble spot. If, and only if, you have considered the previous S’s, then you are ready to consider the hardness scale. Say for instance you are choosing between Hickory and Walnut. For the sake of argument let’s say both products are hand-scraped and are a medium-toned brown with vibrant grains and a matte finish. You can now safely turn to the Hickory as the better option, since it is a stronger specie than Walnut. 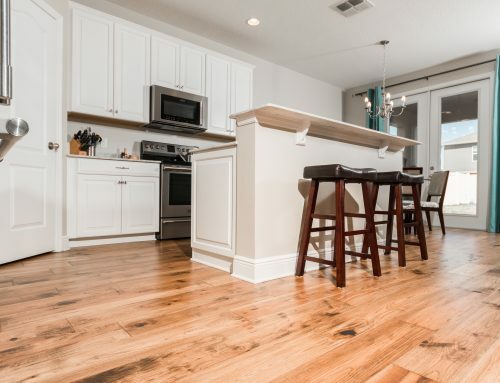 If you follow these simple steps, and use the Janka scale under these circumstances, there’s no doubt you will find the perfect flooring option for your lifestyle and for your home.